At a worship service a few years ago, I vividly remember being shaken to the core during a moving solo of “It Is Well with My Soul.” At the time, I was experiencing a very challenging and confusing season of ministry. My prayers and pleas before God lingered in the air unanswered and seemingly unnoticed. As I sincerely echoed the words of Horatio G. Spafford’s hymn in my heart, the Holy Spirit alerted me to something I was totally unaware of—it was not well with my soul. Although I possess every perfect provision in Christ, the troubling news was that my soul was not at perfect peace and rest in Him. 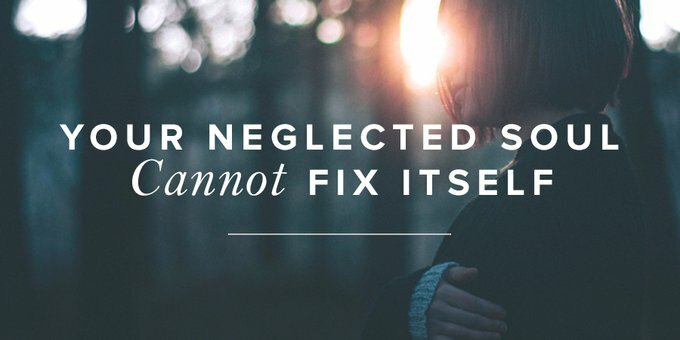 Have you ever become so attentive to caring for the precious souls of the people around you (your family, your small group, your neighbors, your ladies at church, your ______) that your own soul is neglected? It can happen all too often to all of us. The soul is a sacred place created by God for God. When the soul is disregarded, it doesn’t eventually fix itself. “The neglected soul won’t go away—it goes awry,” said Del Fehsenfeld, Pastoral Services Director of Life Action Ministries (the parent ministry of Revive Our Hearts), during our annual staff Seek Week to pursue God for spiritual renewal. He blared an alarm about the damage of soul negligence. Jesus spoke about it, too. He explained it as life surging from the inside to the outside when He taught, “For out of the abundance of the heart the mouth speaks” (Matt. 12:34). The inner man’s soul condition is rarely quarantined from the outer man. A neglected soul is a grave matter for anyone, especially a servant of the Lord. Del reminded us there’s an enemy prowling every minute of every day looking to ravage our souls like a lion who’s thirsting for the blood of his next prey (1 Peter 5:8). There are toxins of corruption and sin like sewage water flowing into our hearts from personal brokenness and the brokenness of the world—toxins that not only pollute our lives but have the potential to flow downstream contaminating the people whose lives we touch. Face the reality of your soul’s condition regularly. Converse with God about your soul by turning to Him in prayer. Talk to your soul about God by counseling your heart with gospel truth and hope. Talk to others about your soul through trustworthy spiritual friendships and accountability partners. Our ministry (Life Action Ministries) was founded on the principle that if we take care of the depth of our lives, God will take care of the breadth of our ministry. Forty-seven years later, we can testify that it still rings true. My hope, sisters, is that we remain in constant communion with Jesus, “the Shepherd and Overseer of your souls” (1 Peter 2:25). Friend to friend, may I offer you a challenge? I know you may be in a season where it feels like soul care can wait, but it cannot. Your ministry in every season flows out of your connection with the Lord. So I encourage you to set apart time to watch Del Fehsenfeld’s entire message. If you want to head straight to the core content, play the video beginning at 16:30. Del will reference a Personal Vitality Plan, which I recommend as a spiritual diagnostic tool. The pathway to revival starts as we lift up our thirsty, neglected souls to the One who restores and satisfies. Let the revival begin—for Jesus’ sake supremely but also for the sake of others around us. As a deer pants for flowing streams, so pants my soul for you, O God. My soul thirsts for God, for the living God. When shall I come and appear before God? . . .
Why are you cast down, O my soul, and why are you in turmoil within me? Hope in God; for I shall again praise him, my salvation and my God (Ps. 42:1–2, 5–6). PS: Today’s post was originally published at our “big sister” blog, Leader Connection. If you’re a leader or influencer, head there for Q&A’s, stories of hope in ministry, and biblical truth that will equip you for your ministry. Leslie and her fellow writers are the friends you need who have “been there” and can spur you toward a deeper walk with Christ and even more effective service for the kingdom.